Over Spring Break, my sister and I went to Arkansas to visit our mom. 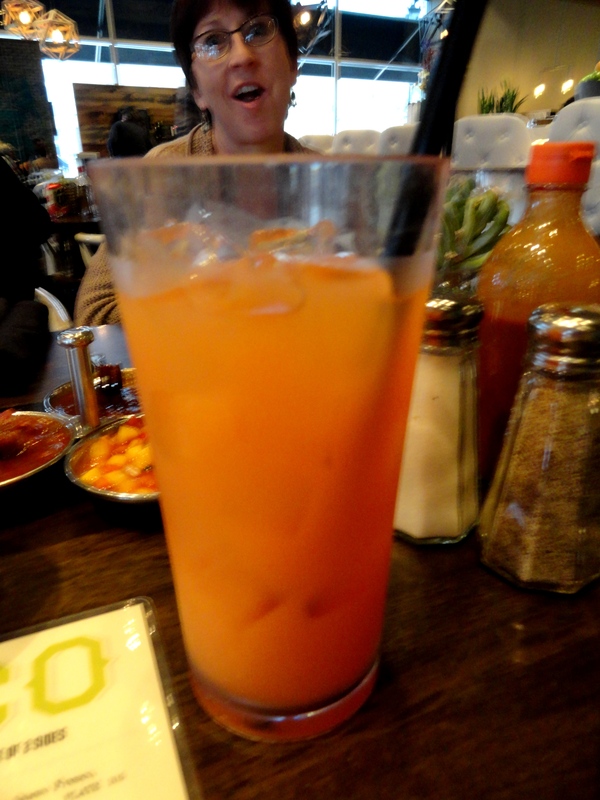 While there, we ate at a fantastic Mexican restaurant in Little Rock called Local Lime. We had heard it was vegan-friendly, so we decided to give it a try, and it turned out to be great! 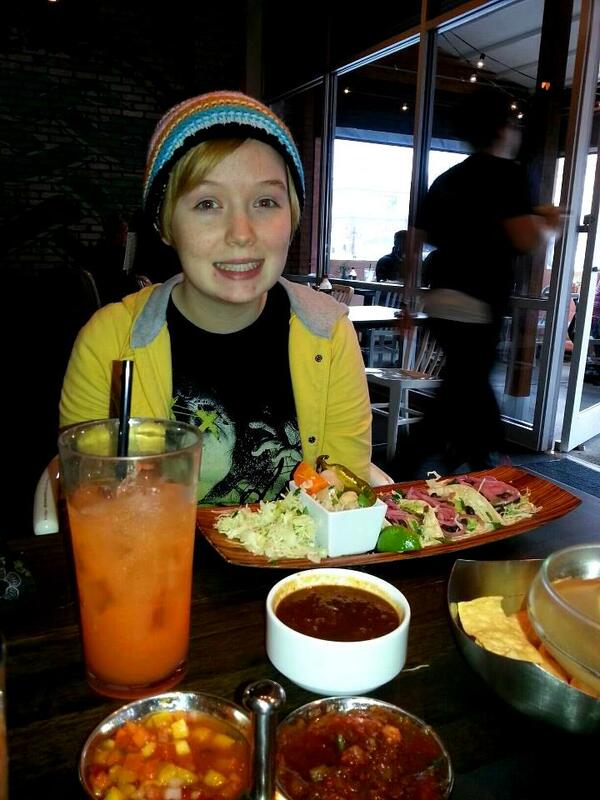 To start off, our waitress was very knowledgeable about what items were and weren’t vegan. That was a great relief, because nothing is more frustrating than having a waiter who has no idea about the ingredients. Things on the menu were also clearly marked “vegan”, “vegetarian”, and “gluten-free”. 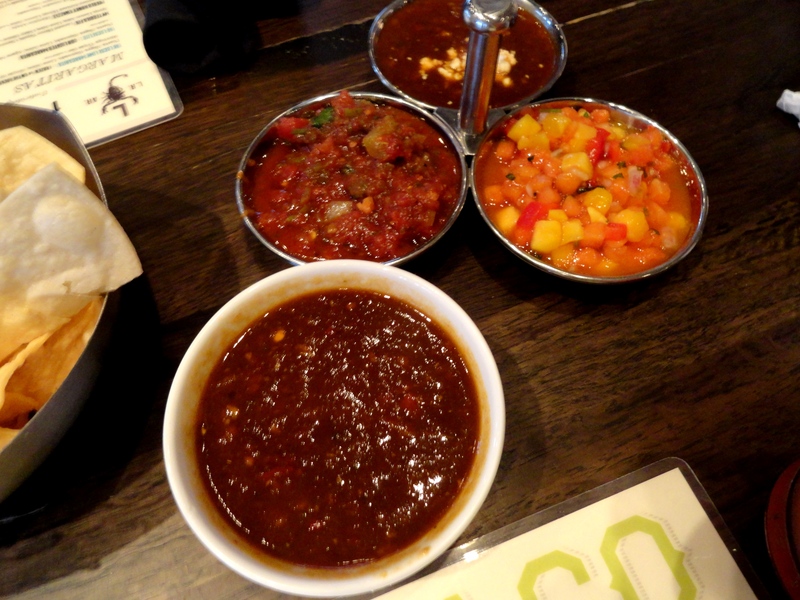 As an appetizer we got the Salsa Trio, and our three salsa choices were house tomato, tres chilies, and mango papaya, served with corn chips. When our waitress brought it out, the tres chilies salsa had cheese on top of it. After seeing the cook’s mistake, she immediately went into the back and brought me my own vegan salsa bowl! All the salsas were good, but the house tomato was definitely my favorite. 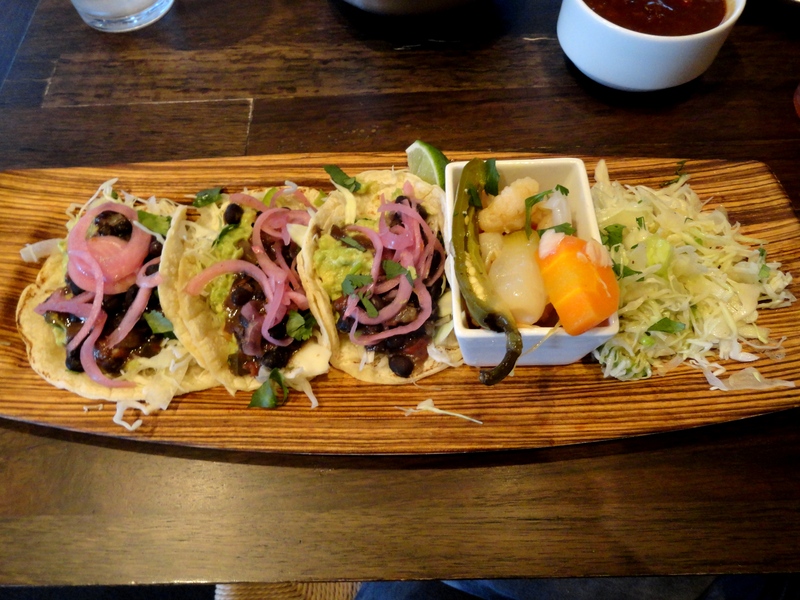 For the main course I ordered the Black Bean and Green Tacos, which come with black beans, guacamole, raw green cabbage, house-pickled onions, and hot sauce, all served in a corn tortilla. For the two sides, I got jicama jalapeno slaw (with no sauce, since it contained dairy), and spicy house-pickled vegetables. The tacos were fantastic. The beans were spiced just right, and the cool guacamole and cabbage counteracted the spicy onions and hot sauce. The jicama slaw was also really good. It was crunchy and fresh tasting with a hint of lime. The only disappointing thing was the house-pickled vegetables. The combo of spicy and pickled taste just didn’t sit right with my taste buds. So all in all, I would give Local Lime a 5 star rating. Their vegan-friendly service, and delicious menu is truly stellar.